“From the ends of the earth I call to you, I call as my heart grows faint; lead me to the rock that is higher than I;” (Psalm 61:2, NIV). Everyone goes through seasons of difficulty. We all face challenges and trials. Scripture tells us that in this world we will have trouble, but we can be encouraged today because He has overcome the world and disarmed it of the power to harm us! Greater is He who is in us than he who is in the world. His ways are higher than our ways, and He has promised to deliver us! So many times, people feel stuck in their circumstances because they are looking at them from a natural perspective. This natural perspective is limited. It’s small. It’s only a fraction of what’s really going on. But, if we’ll rise up to a higher level, we will see things the way God sees them. We’ll understand His purposes and see the way to victory! 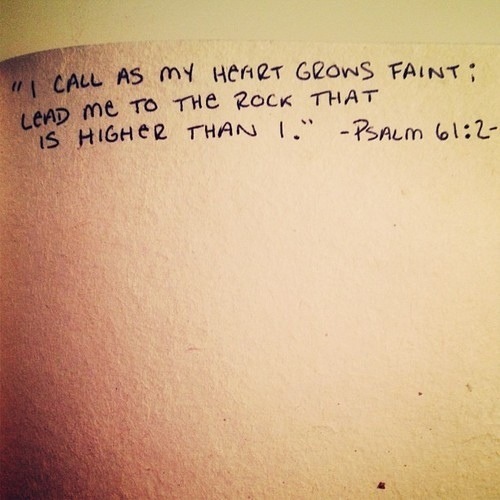 Today, if you’re feeling overwhelmed, Jesus is the rock who is high above your circumstances. When you call on Him, He will be with you. 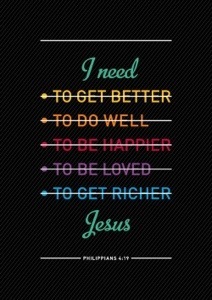 He will lead you and guide you into the higher places He has prepared for you!